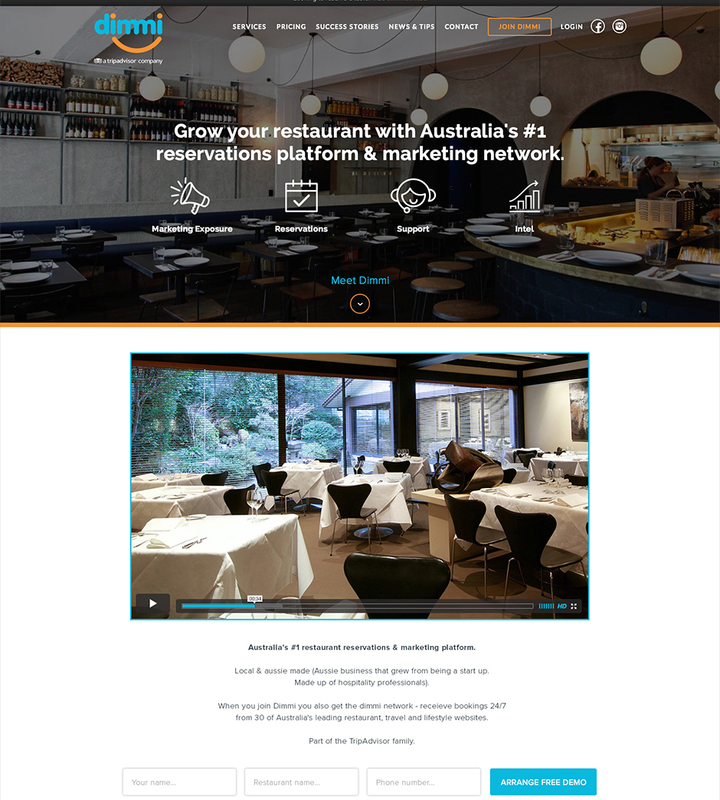 Responsive website wireframing, design and CMS development for Dimmi's restaurant focused Wordpress site. Dimmi did not have a dedicated location for their retail customers to go online for product information or customer support and the information they did have was hard to find and time consuming to update. 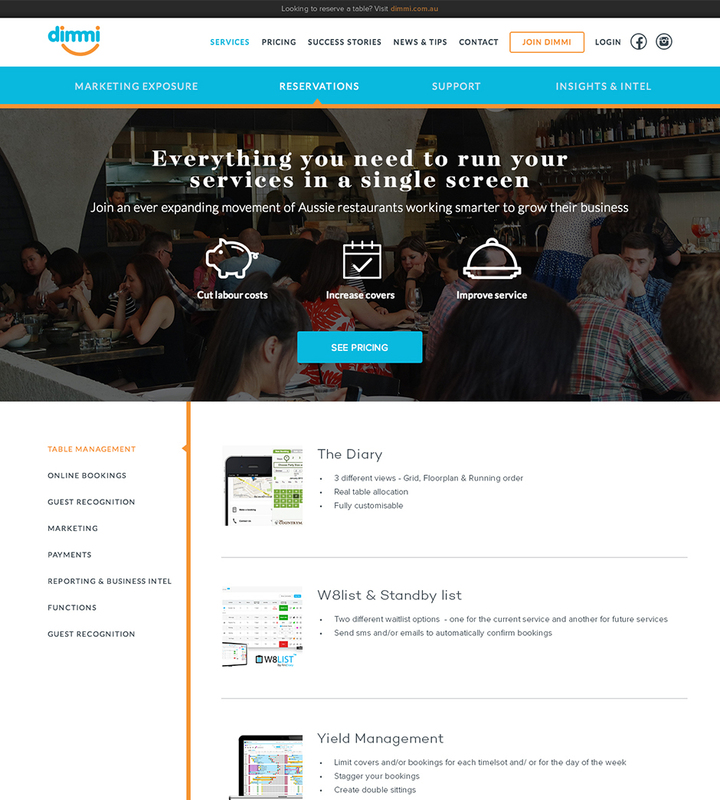 A fully responsive website for retail customer was built using Wordpress to allow for ongoing content updates. All leads for the website are sent directly to their Salesforce and the site contains live chat functionality, enabling instant customer support. Dimmi now offer their retail customers a clear and accessible place to go for help or information, their staff can quickly and easily update the website and their sales have see an increase in leads generate online.